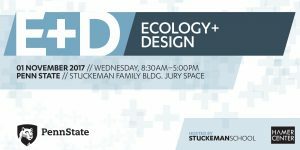 Research activated design intervention that significantly improves the ecological health of the designed world. 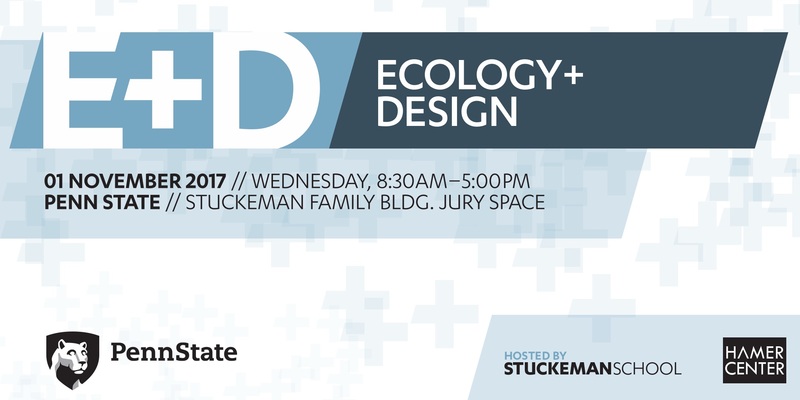 The Stuckeman School’s Ecology + Design (E+D) initiative has received one of only 10 seed grants University-wide awarded to pilot programs that support Penn State’s 2016-2020 Strategic Plan. 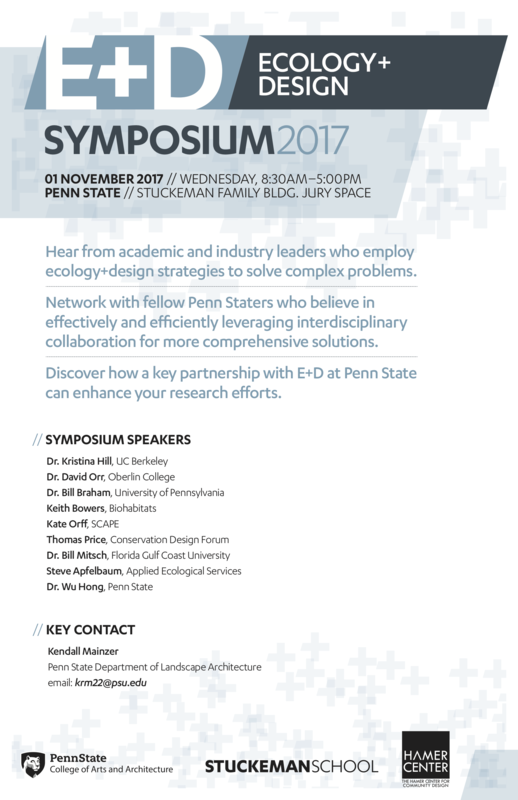 Ecology and Design, focused on the creation of a Penn State Center for Ecology and Design (E+D), that will address the need to fuse ecology and design in built works, and establish the University as a leader in E+D innovation and education, in support of stewarding our planet’s resources. 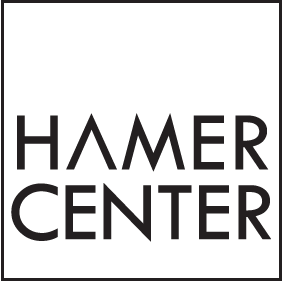 The Hamer Center has been proud to support the E+D initiative as its physical home. For the full story, see the story on Penn State News. 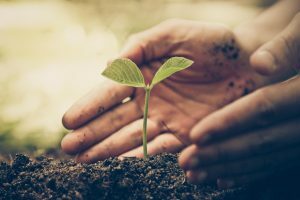 TOPIC 1: What are key ecological principles that should be considered in physical design, and how are they (or how should they be) manifested in built work? 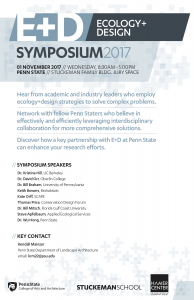 TOPIC 2: What are useful collaborative strategies to bring together ecological science and physical design? TOPIC 3: How could (or how does) research help us test the theories and design strategies through performance assessment of built projects? Next Page: ResearchPrevious Page: Where we work!